In the dark alley of a pub, the words "Please don't" take hold of her heart and break the silence she seeks. Thinking herself beyond redemption, she tentatively grabs on to the slim thread of hope that unfolds inside of her. Holding her secrets close, she can't resist the comforting draw coming from The Skipper. The unconditional friendships it offers, the protective roof it provides, and the spark that its owner ignites in her - melting the frost off her heart, and slowly stripping away her resistance. 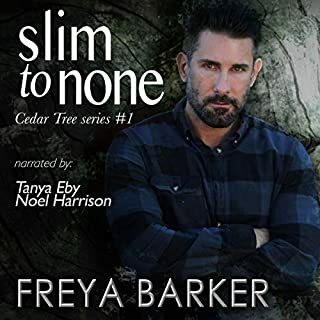 Investigator Gus Flemming is hot on the trail of a bail skip with organized crime connections that bring him to Cedar Tree. Once there, the focus of his investigation lands squarely on the gently rounded shoulders of a vivacious red haired Emma, whose physical limitations have done nothing to dampen her zest for life. 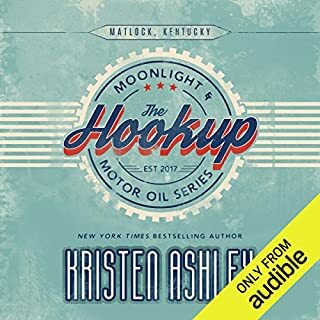 Early in her life, Josephine Malone learned the hard way that there was only one person she could love and trust: her grandmother, Lydia Malone. Out of necessity, unconsciously and very successfully, Josephine donned a disguise to keep all others at bay. She led a globetrotting lifestyle on the fringes of the fashion and music elite, but she kept herself distant. While Josephine was trotting the globe, retired boxer Jake Spear was living in the same small town as Lydia. 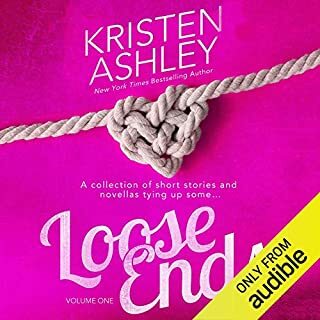 KRISTEN ASHLEY AT HER BEST! When I was nineteen years old, I was faced with a choice that changed my life. Keep the safety of what I already knew or risk losing everything with the young, hotheaded soldier who stole my heart. I chose the wrong man, and for seventeen years, I paid in tears, blood, and shattered dreams for that decision. Now, there’s a man in my house, holding a gun to my head on the order of my ex-husband—given from his prison cell. That hotheaded soldier I was too afraid to choose? He’s now a six-foot-three wall of muscle who works at the country’s most premier bodyguard agency. I’ve always wanted him, but now, I’ve never needed him more. It’s the call I’m terrified to make. I’m sure he still hates me… Even though I’ve never stopped loving him. Innocence marked her.... Violation crippled her.... Love left her raw.... The life she carefully rebuilt is challenged when she is confronted with the sins from her past. The carefully applied protection is at once ripped away, leaving her exposed and vulnerable. Her single night of indulgence with the silver-eyed stranger is only the beginning. He sees right to the heart of her and she is unable to ward off emotions that have been deeply buried. 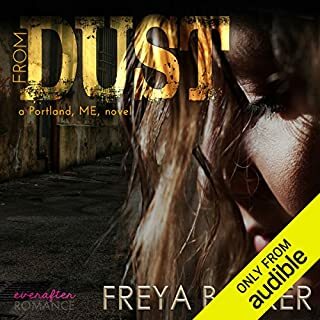 With the sting of betrayal still fresh in her soul, she's surprised to find herself opening up to the honest integrity of the sharp-eyed, rough-looking biker. Appearances deceive, and when the masks fall away, revealing deep, dark secrets, there is nothing left but to hang onto each other and survive the storm. This book deals with issues around abuse that might be sensitive to some. Due to content of a sexually explicit nature, this book is recommended for a mature audience only. 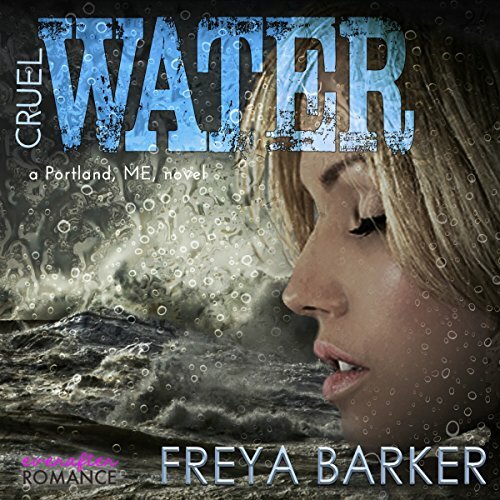 ©2016 Margreet Asselbergs as Freya Barker (P)2017 Audible, Inc.
What did you love best about Cruel Water? I love the characters in this story. Ms. Barker knows how to right real people in tough situations and make them stronger than they believe they can be. Her use of mature characters draws me into her books because there is often an element of commonality with the characters. I love how the author takes an unlikely pair and shows that in their differences, they are truly soulmates. Viv is one of my favorite characters in Ms. Barker's books. She appears to be strong and take charge but that masks a lot of insecurity and hurt in her past. She strives to save and protect others while floundering herself. Once she finds Ike, her vulnerability is revealed and wrongs righted as best they can be. She's still a force of nature, just a little tamed by the love of a good man. What about Brian Rodgers and Lorelei Avalon ’s performance did you like? When I read the book last year, I heard the character's voices as I read. I thought Brian Rodgers was spot on as Ike, his intensity and range of emotions are very engaging for the listener. 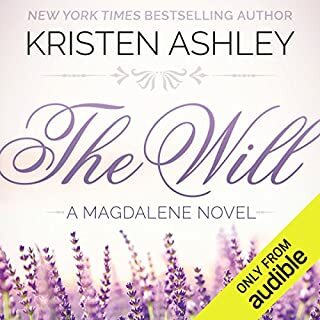 At first Lorelei Avalon's voice didn't meet the idea of Viv in my mind. However, after the first chapter her emotion and understanding of the character shone through and she became Viv. There were several moments that moved me nearly to tears but revealing them would spoil the story for the next reader. Suffice it to say when Viv and Ike share their pasts keep tissues handy. I have read everything by this author and love her books. 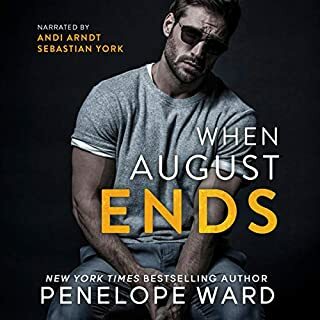 I cannot wait to devour the rest of her books in audio.